Utilizing two measures of inflated responsibility, the current study provides an examination of the relation between responsibility and both obsessive-compulsive disorder (OCD) symptoms and worry/generalized anxiety disorder (GAD) symptoms. More specifically, the goals of the study were twofold. The first goal was to provide an elucidation of the construct of inflated responsibility by conducting a joint factor analysis with two measures commonly utilized to assess responsibly, the Responsibility Attitudes Scale (RAS) and the Responsibility to Continue Thinking Scale (RESP). The second goal was to examine the degree to which the factors obtained from the joint factor analysis predict symptoms of OCD, GAD, and worry. Based on an exploratory factor analysis, a three-factor solution emerged, with factors labeled Harm/Danger Avoidance (HDA), Personal Responsibility/Blame (PRB), and Responsibility to Continue Thinking/Perseverate (RCTP). 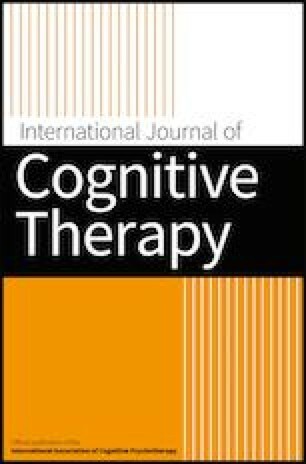 Based on the results of regression analyses, PRB and RCTP, but not HAD, were found to be significant and unique predictors of OCD symptoms and of worry/GAD symptoms. Overall, this study provides insight into the construct of responsibly and the relation of this construct to psychopathology. Sugiura, Y. (2013). The dual effects of critical thinking disposition on worry. PLoS One, 8, e79714. https://doi.org/10.1371/journal.pone.0079714.